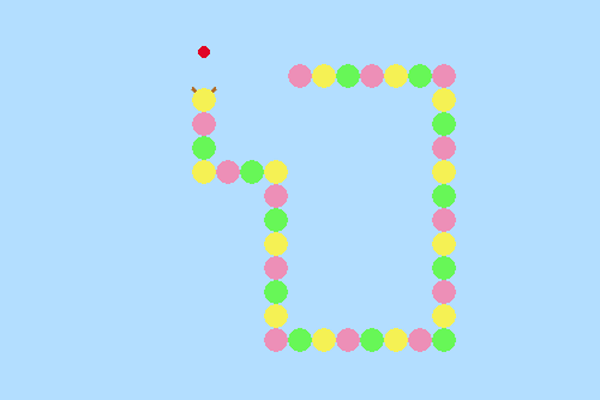 Just a simple snake game I made as an exercise in using OpenGL. Since most of my game development has been using a game engine I wanted to try making something from scratch. Of course I had to make it a bit unique, so I made it a caterpillar with cute colors.